Drawn from my own playing experience, research, and 17 years of full-time college teaching, here are a few suggestions for learning the alto trombone. 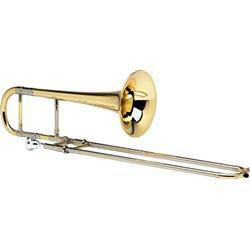 1) Sound Concept—Developing a good sound concept for the alto trombone is important from the beginning. A) Brighter: In my opinion, the alto sound should be more trumpet-like than the tenor trombone sound. The sound will be brighter–don’t fight it! 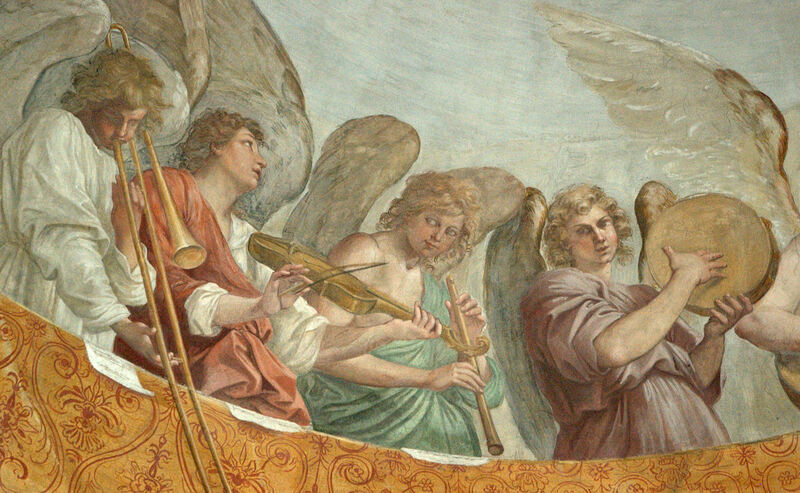 Think of the difference between alto and tenor trombone as similar to the difference between trumpet and piccolo trumpet. In my experience, the students who have the hardest time establishing their alto sound are the ones fighting hardest to make the alto sound like a large-bore tenor! B) Lighter: Going from tenor to alto requires a lighter approach, which should include less articulation, slightly less air, and a generally lighter touch. Finesse, not muscle! C) Recordings: Listening to recordings of alto trombone will help establish this new sound concept. My favorite alto player is Alain Trudel. There are many other great ones as well; virtually all of the world’s top tenor trombonists have recorded on alto as well as tenor. A) Position chart: Here is an alto trombone position chart. B) Immersion approach: Some people like to jump right in. Using your position chart and a little trial and error, jump right in and work out your solo or excerpt of choice. C) Methodical approach: Others who want a broader, more methodical approach may want to consider a method book. There are several good books, including methods by Anderson, Harvey, Parow, Slokar, and Sluchin. In terms of just learning how to read, the Slokar method (Methode Complete de Trombone Alto) is the most deliberate. It sets out a two-week program of exercises (specified by day) designed to give a player a basic working knowledge of the alto positions. It’s a little tedious, but I have had some success using it with students. D) Experience: Obviously, the more you play through music, the better you’re going to get at reading it. Play solos, excerpts, etudes, duets, trombone choir parts, etc.—whatever you can get your hands on. Several method books are available that contain a nice concentration of this material. 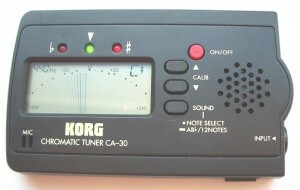 A) Slow scales with tuner: Work on slow, 2-octave scales with a tuner. Your goal is to get the initial attack of every note within a few cents of perfect. B) Duets: Play alto-tenor duets with a sure-footed tenor player. Play them slowly and really focus on tuning. Make sure you are adjusting to the tenor player, not the other way around. The Benny Sluchin method books (Study Material for the Alto Trombone) have quite a few duets; Book 1 has some very basic duets, Book 2 has 10 Mozart duets, and Book 4 consists exclusively of duets. I play duets with students quite a bit when I teach alto trombone; as I mention above, it’s also good practice for reading. C) Colley TuneUp CD: Stephen Colley has a fairly extensive set of play-along tuning exercises that are terrific for working on alto intonation. With some of them, you tune intervals against a drone; with others you work on tuning specific chord members against a perfectly-tuned chord. Although they’re a little low and they’re notated in bass clef, they still work well for alto trombone. Here’s a link to his site. 5) Literature—It’s likely that you already have some idea of what you’d like to learn on alto trombone. However, in case you don’t, here are a couple of suggestions for starting out (I’m assuming at least an advanced college undergraduate). 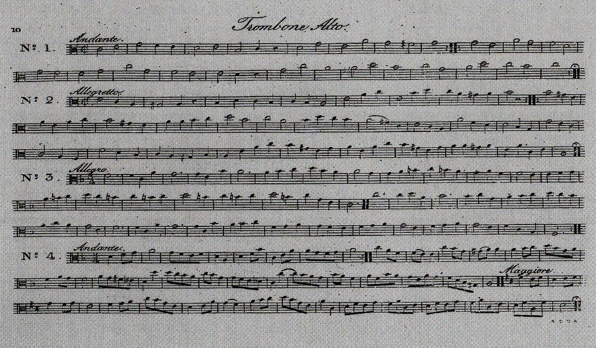 A) Solo: Albrechtsberger, Concerto. Friendly key for alto, great piece, staple in the literature. B) Excerpts: Schumann Symphony No. 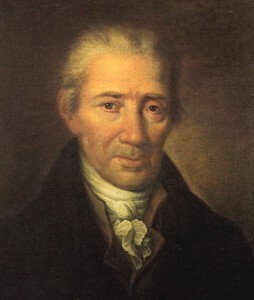 3, Beethoven Symphony No. 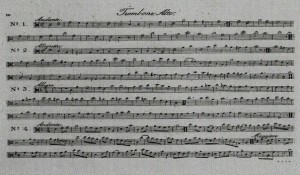 5, Mozart Requiem (top part). A few of the prime reasons for using alto trombone in the orchestra! 6) Have fun! Enjoy the light, clear sound; the additional literature; and the experience of learning something new!